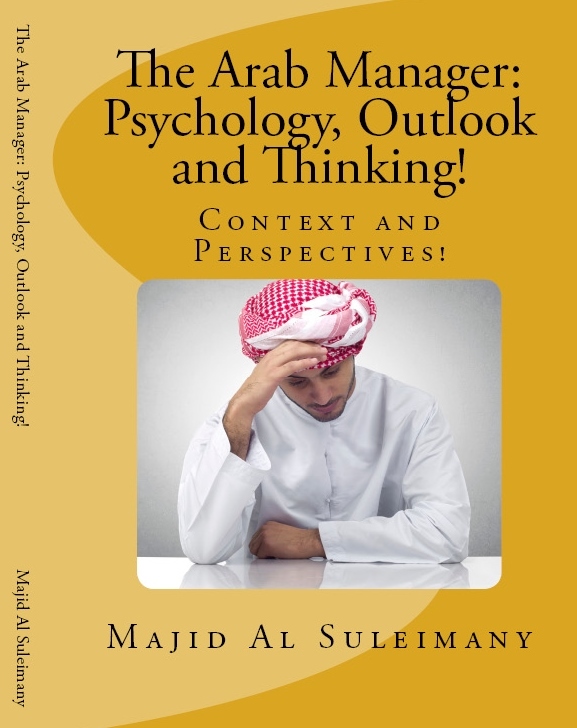 The Arab Manager: Psychology, Outlook and Thinking! | My Majid Books! Home » Arab Management Books! 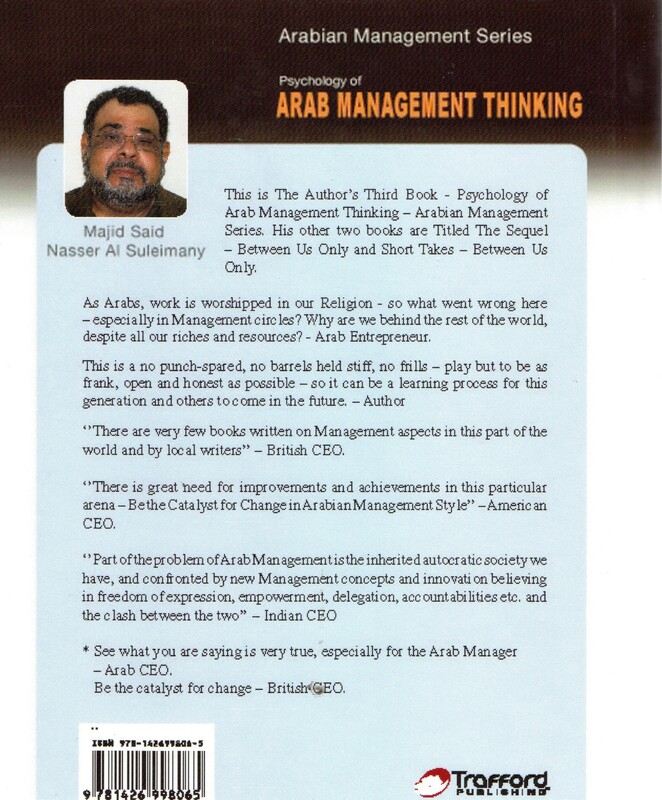 » The Arab Manager: Psychology, Outlook and Thinking! 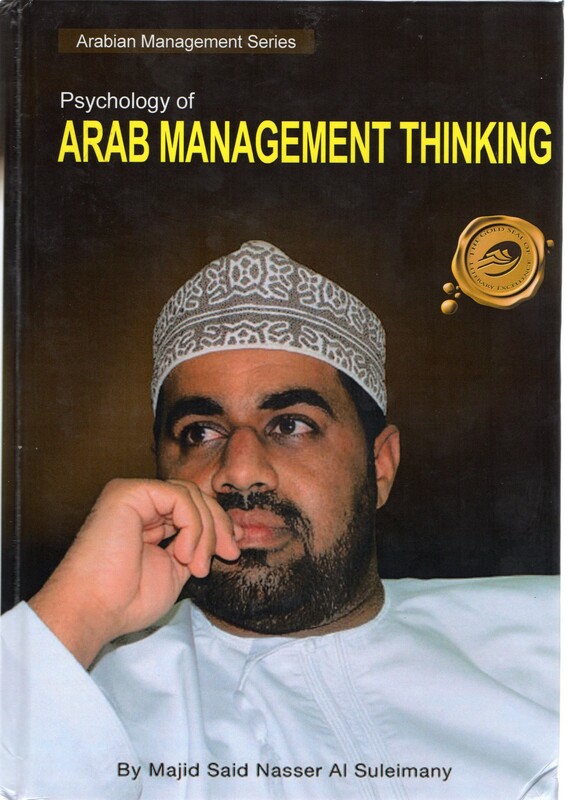 Critical Literature on Arab Management! 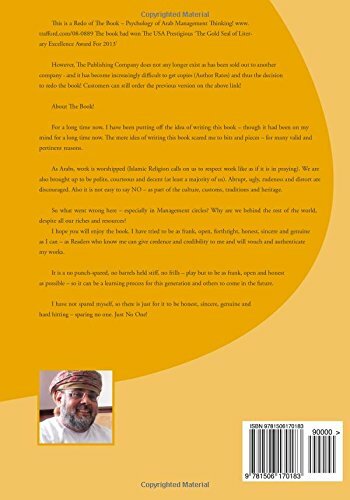 However, The Publishing Company does not any longer exist as has been sold out to another company – and it has become increasingly difficult to get copies (Author Rates) and thus the decision to redo the book! Customers can still order the previous version on the above link! About The Book! For a long time now, I have been putting off the idea of writing this book – though it had been on my mind for a long time now. The mere idea of writing this book scared me to bits and pieces – for many valid and pertinent reasons. As Arabs, work is worshipped (Islamic Religion calls on us to respect work like as if it is in praying). We are also brought up to be polite, courteous and decent (at least a majority of us). Abrupt, ugly, rudeness and distort are discouraged. Also it is not easy to say NO – as part of the culture, customs, traditions and heritage. So what went wrong here – especially in Management circles? Why are we behind the rest of the world, despite all our riches and resources? I have not spared even myself, so there is just for it to be honest, sincere, frank, forthright, genuine and hard hitting – sparing no one! Just No One!